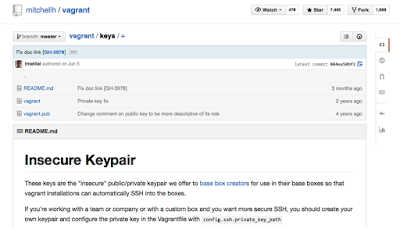 Vagrant used to ship with a default keypair and was difficult to rotate. **fixed with new versions of Vagrant. Finding hosts using the default key still pretty likely. Did you change your SSH keys? You can always protect your website with Web Application Firewall from cloud-based security provider like Incapsula.